Rug Grippers & Hard Floor, Carpet Grippers. Get A Grip! If you have a rug which keeps moving and slipping, sometimes even when in an area that isn’t used much, it can start to drive you mad! Plus it’s highly dangerous and a cause of many accidents in the home. There is something you can do about it though, using a Carpet Gripper is one of the safest and most effective ways to stop rugs slipping. The Caraselle Rug Safe. 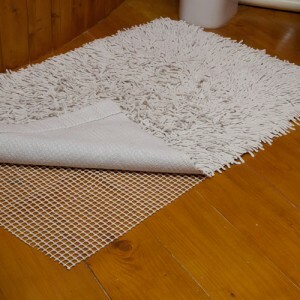 Rug to Carpet Gripper keeps rugs in place on Carpets. These Rug Grippers For Carpet can be used under any type of Rug or Mat and on all carpet. The great thing about this type of rug gripper is that it’s cut to size, and available to fit rugs up to 125 x 185 cms with a separate pack size to fit rugs up to 65 x 95 cms. Naturally the ability to cut them to size means these packs are very versatile and can be cut according to the size of your rugs. 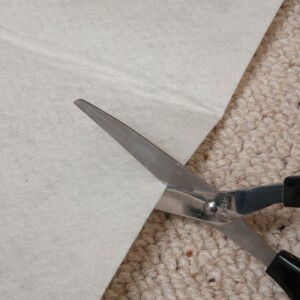 If you have a rug on a hard floor, make sure you use a specific gripper such as the Rug to Hard Floor Gripper which keeps rugs in place on Hard Floors. Again it’s available in 2 different sizes to fit rugs up to either 125 x 185 cms or 65 x 95 cms and is cut to size. These rug grippers are for indoor use only, but for securing an outside rug or mat, such as your doormat, you need something such as VELCRO® Heavy Duty Stick On Tape. Again very versatile because it’s cut to size. Available in black and white. It’s easy to apply, simply clean and dry both surfaces where fastener is to be applied then peel each fastener from backing tape & press firmly in place.